Buffalo grass is native North American turf grass. Originally a native grass on plains and prairies, buffalo grass is named after American bison that fed on its gray-green foliage. Long used for livestock forage and rural turf, buffalo grass is gaining popularity as low-water, low-maintenance lawnscaping. Buffalo grass needs minimal fertilization and is pest resistant. New lawn varieties offer dense, green grass and xeriscape qualities. Legacy buffalo grass, developed by the University of Nebraska, is a dense-growing grass with a dark blue-green color. This grass is planted by sod or plugs. Legacy has no pollen or seed heads, making it a good choice for people and pets with pollen allergies. Legacy tolerates shade better than most buffalo grasses, though it will not grow as rapidly in shade as in sun. Maturing at a height of 3 to 5 inches, this variety is unmowed for a soft landscape appearance or is mowed every two to three weeks in growing season. Prairie buffalo grass, developed at Texas A&M University, is a medium density grass with an apple green color. Planted by sod or plugs, this fine-bladed grass has no pollen or seed heads. This cultivar is grown in full sun with little watering and fertilizing. Prairie performs well in clay soils and matures at a height 4 to 6 inches. Remove no more than a third of the height when mowing to maintain root activity. Stampede is a semi-dwarf and dense buffalo grass with a kelly green color. This buffalo grass has a finer, shorter leaf blade than most buffalo grasses. Maturing at a height of 4 inches, Stampede spreads quickly and requires minimal mowing. Drought-tolerant and disease-resistant, the buffalo grass is green in summer and golden in winter. UC Verde, developed by the University of California at Davis and University of California at Riverside, is specifically bred for California landscaping. UC Verde is fine-bladed, has no seed heads and is medium green in color. This slow-growing variety matures at a height 4 to 6 inches. Recommended mow height is 2 to 3 inches. Like other new cultivars, UC Verde can be left unmowed for a short meadow grass look. 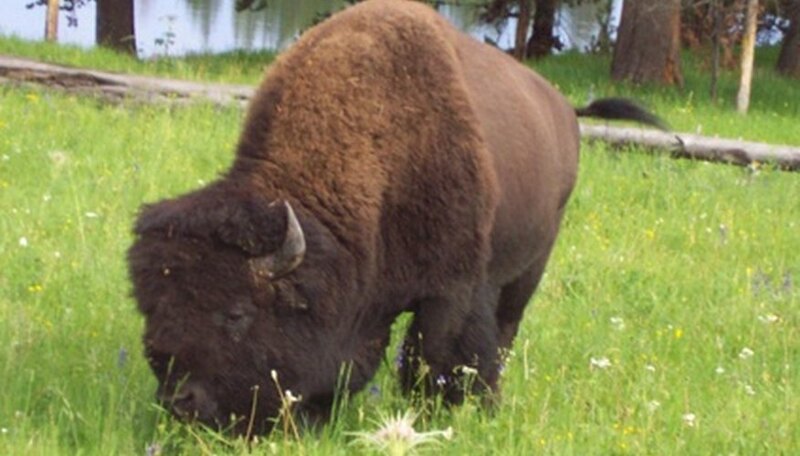 Depending on the cultivar, buffalo grass is planted with traditional seeds, sod and grass plugs. Some cultivars such as Bison, Cody and Texoka grow from seed burs while others like Legacy, Prairie and Stampede grow by vegetative stems called stolens. Seeded varieties are often taller and produce seed heads. Vegetative varieties are preferred for fast growth and allergy sufferers. Check with regional cooperative extensions on specific buffalo grass cultivars suited to the local climate.